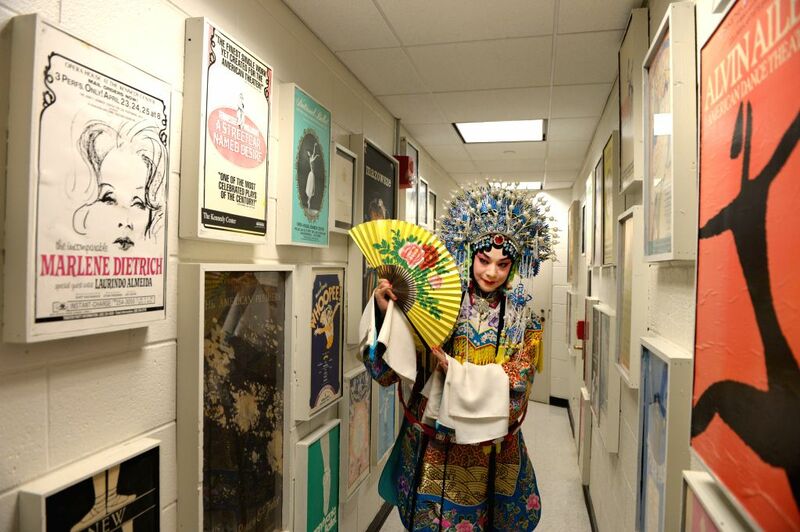 WASHINGTON D.C., Aug. 29, 2014 - Peking Opera actor Hu Wenge prepares to perform "Lady Mu Guiying Takes Command" at the back stage of the Kennedy Center of the Performing Arts in Washington D.C., the United States, Aug. 28, 2014. Hu Wenge, student of Mei Lanfang's son Mei Baojiu, has been the only successor of male Dan, a female role in Peking Opera, in Mei school of Peking Opera for the past 50 years. 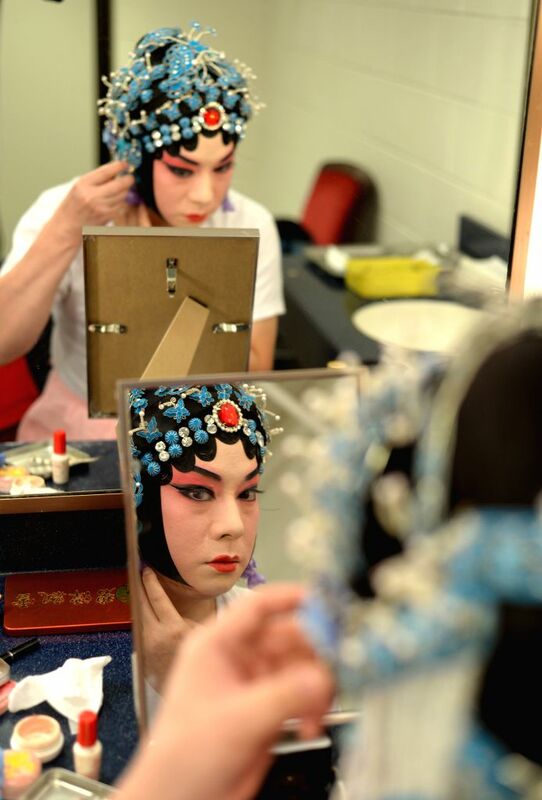 Peking Opera actor Hu Wenge prepares to perform "The Drunken Beauty" at the back stage of the Kennedy Center of the Performing Arts in Washington D.C., the United States, Aug. 28, 2014.